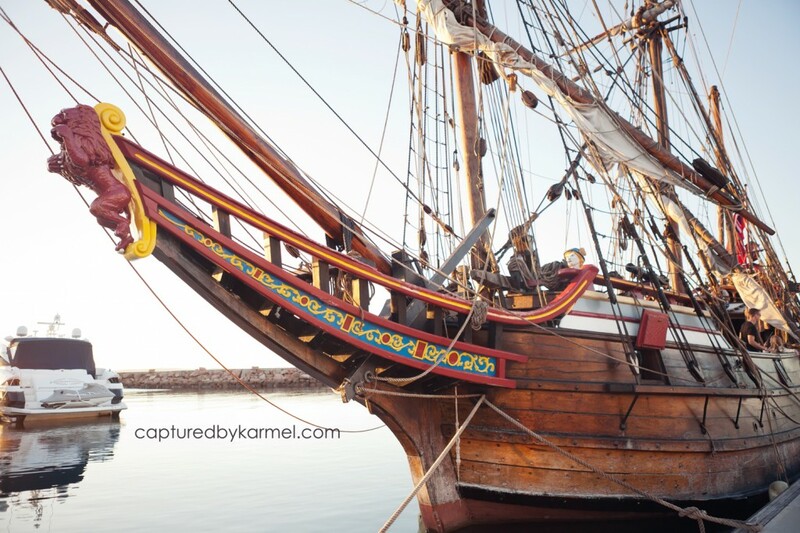 We have just been on holidays to Nelson Bay and imagine my excitement when I saw a ‘Pirate’ ship docked at the marina!! 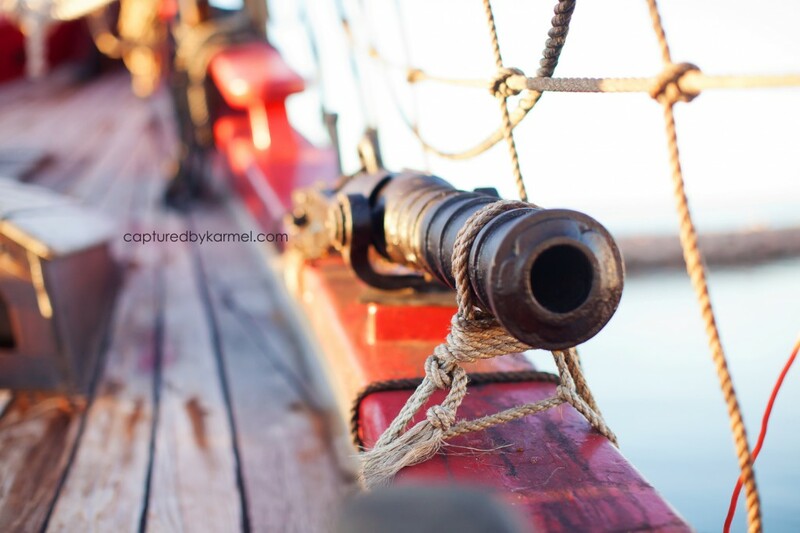 It’s a huge coincidence, I had already planned the theme for my kids photo shoot to be Pirates and when I spotted the ship I knew I had to get on that thing!! I got into the locked marina (legally!) and met ‘Captain Cole’ and the skipper, Vic who happily let us aboard later that evening. 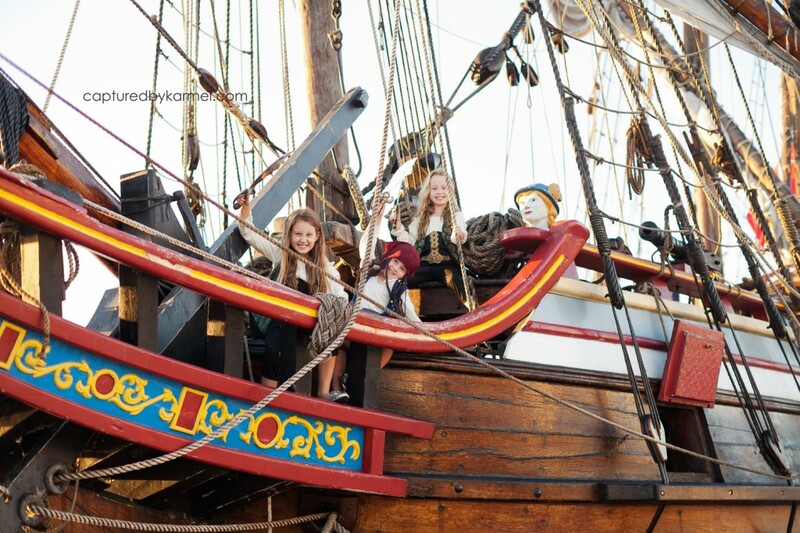 The ship is a replica of the Duyfken and was at Darling Harbour for a number of years. It is now headed back to Fremantle in WA so if any of you from WA are reading this be sure to look out for it! On to the images. This is Part 1 of the Pirate theme with my kids. That’s Captain Cole with my kids above and The Skipper of the Ship, Vic in the background there. Jayne - These are fabulous Karmel! Cutest pirates I’ve ever seen! I was crewing on Duyfken when you came aboard last week. These are great photos! I’m glad you guys enjoyed your visit to Duyfken!